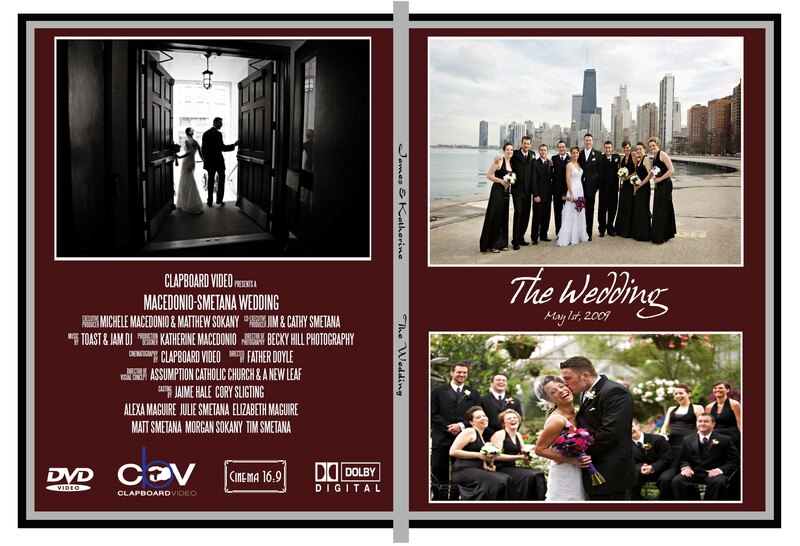 We film your entire Ceremony and Reception. The final video will have your complete Ceremony on it as it happened. The Reception will have the “main events” (Intro, Cake, First Dances, etc) as they happened. We use the open dancing too, just don’t show the entire length of those. How long we stay at the Reception depends on the party, if we have all that we need and the same people are dancing over and over, we may ask if you need us to continue…but we will always ask and are happy to stay until the end if need be. Your venues will have many decorations/architecture to be filmed, we take these and put them to music for open segments so you don’t miss any of those great decorations you made for your special day! 4 High Definition cameras (sometimes 5) and 3 videographers for Ceremony. Most companies charge you more over 2 camera/videographers, we do not. We cover the Ceremony and the Reception. We cover the Bridal Prep, Ceremony and the Reception. Our most popular package! We cover the Bridal Prep, Ceremony, Reception, Rehearsal, UNLIMITED HOURS, Limo Cam and more! No time limits, no location limits – you get us ALL day! Additional copies – Blu-Ray $35 each. DVD $25 each. Picture Montage – $1.50 a picture (scanning included if needed), minimum 50. Bridal Prep – $400, max 4 man hours coverage, pre-ceremony. Save The Date – $300, short video done two or more months in advance. Thank You Discs – $100 (set 10), mini-dvd with custom label, customized text, short music video of your day, give as a gift. Limo Cam – $100, we lend you an HD camera, you film the travel from Ceremony to Reception and we add to your project. Additional hours $75 each hour. Travel Fee added for anything outside the region of; South I-275, North I-70, West Oxford, East Wilmington. Ohio Sales Tax (6.75%) will also be added onto any package. We custom make each and every disc, case and menu from your project. No generic menus here. We will use music you select as well, just provide song & artist or mp3. This is your special day and it should be reflected as such on your final video. Many people ask us, “Why do you use so many cameras? Why do you put a mic on the Groom?”. All good questions! Watch this video below and see exactly why this is needed and how much better your video will be because of it! “Will I still get the see my main events in their entirety and will they be edited?”. We only edit the details to music, such as flowers, settings, etc. Your ceremony, intro, first dance, toasts, cake cutting, bouquet toss, etc, you will hear and get to relive the moment exactly as it happened the first time, every time! “What is a picture montage?”. I’m so thrilled you asked! You give us the pictures (min 50) and we will edit them to fly around the screen like magic to a song. This will be added to your final video and can be also be used for you to play at your reception if you like (you provide TV/Projector). “I get a music video?”. Yes you do! This video will be on your final project but will also serve as a way for you to share your day with everyone, even those that could not attend! It’s a 6-12 minutes piece set to music featuring all the highlights of the day. Within 2 weeks of your ceremony, we will have it completed and online. Once there, we will send you the link and you can watch it as much as you like and even share it with others on Facebook and the like if you choose to do so. Why don’t I just show you an example! The last thing I want to mention is lights. While we do have camera lights at the ready, we simply try not to use them. The cameras we use go all the way down to 1 LUX. This means they should be good even if only 1 candle is the only light in the frame. We feel lights ruin the mood and make everyone look at the camera like a deer in headlights. By not using lights, we are able to remain very stealth and capture the best on the spot moments, these are truely great moments. That all said, once the party gets under way, if we think the lights may be a little too dark in the room, we may confer with you to get them turned up a little. We haven’t had the need to do it that many times at all. Don’t worry. We got this! Are you ready to book us, sit back, relax and allow us to make a lifetime of memories for you? STEP 1 – Contact us to see if your date is available. STEP 2 – Make your deposit/payment (cash, check or credit card). Most others charge you more for credit card sales, we do not. STEP 3 – Please print and sign Wedding Contract as well as read our Terms of Service. STEP 4 – We need 10 songs and artists to use in your project. Please use the form below to complete these.